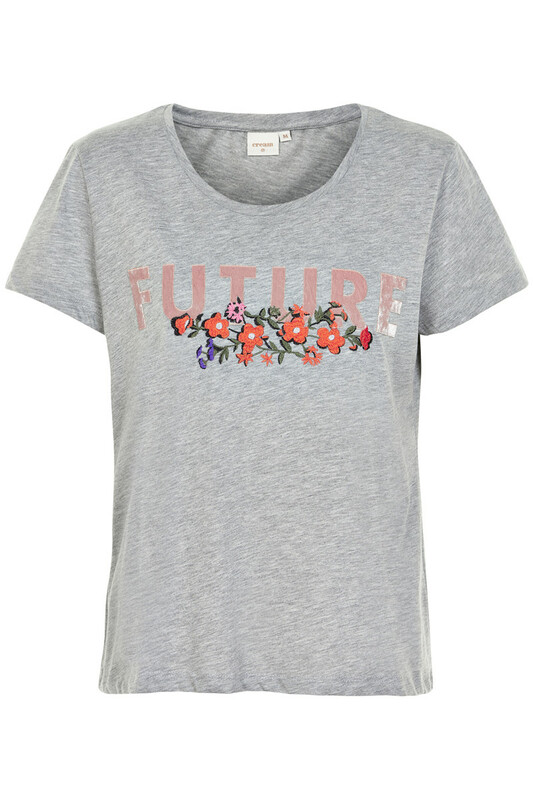 Super comfortable and pretty short-sleeved T-shirt from Cream. 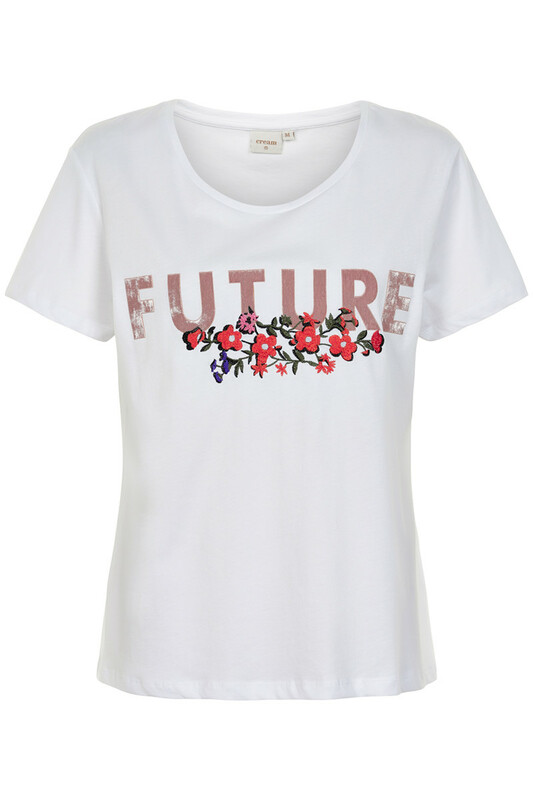 It has statement text, regular fit and pretty colour combinations in the text with floral embroidery below. 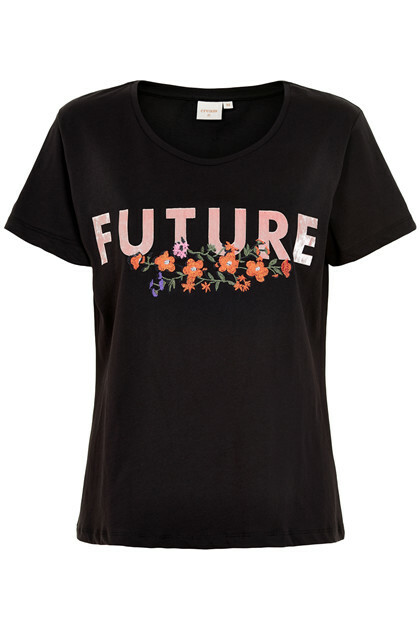 It just adds that little extra thing you always are looking for in a T-shirt.